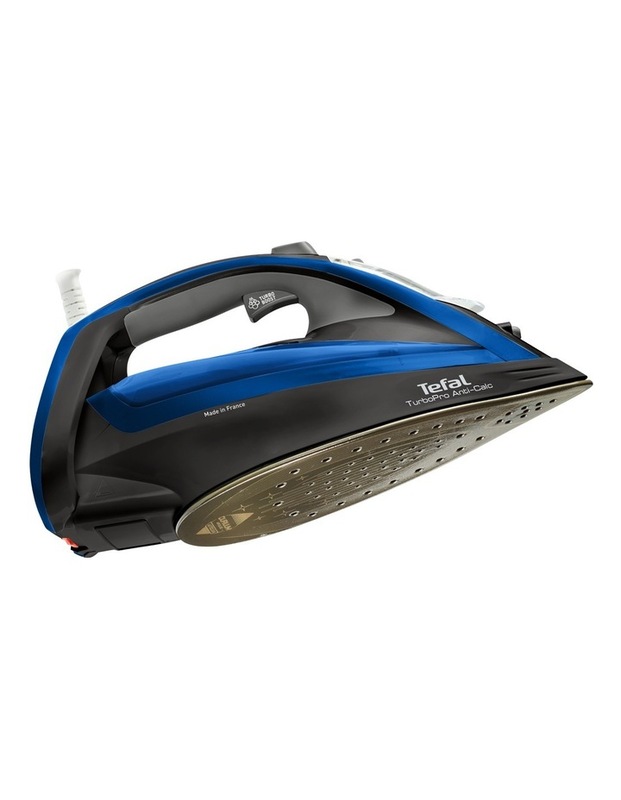 Tefal Turbopro Airglide Iron:Black/Blue. 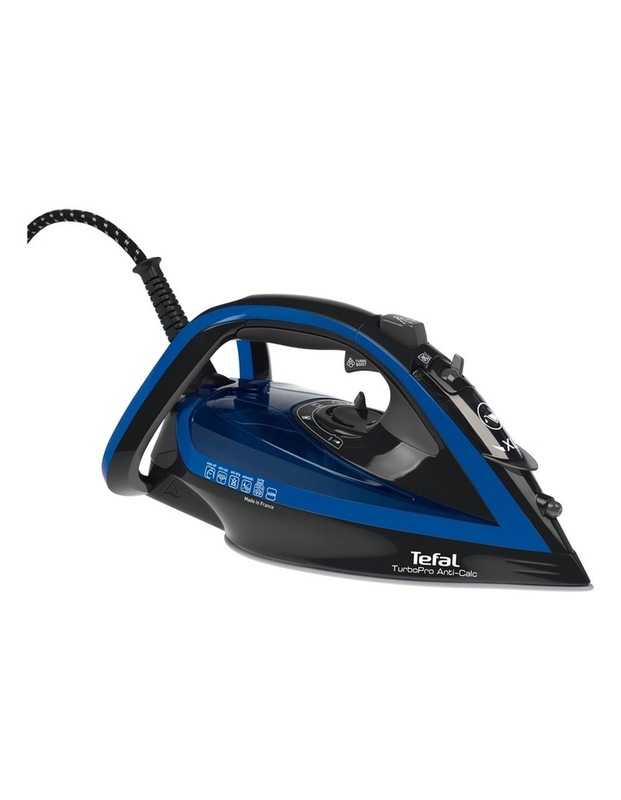 Turbopro anti-calc is equipped with the new tefal turbo boost technology for steam propulsion that drives deep into fabric to remove even the most stubborn creases. It is equipped with revolutionary airglide soleplate that ensures effortless ironing that will cut your ironing time significantly. Finally, it features the the scale collector for long-lasting performance. 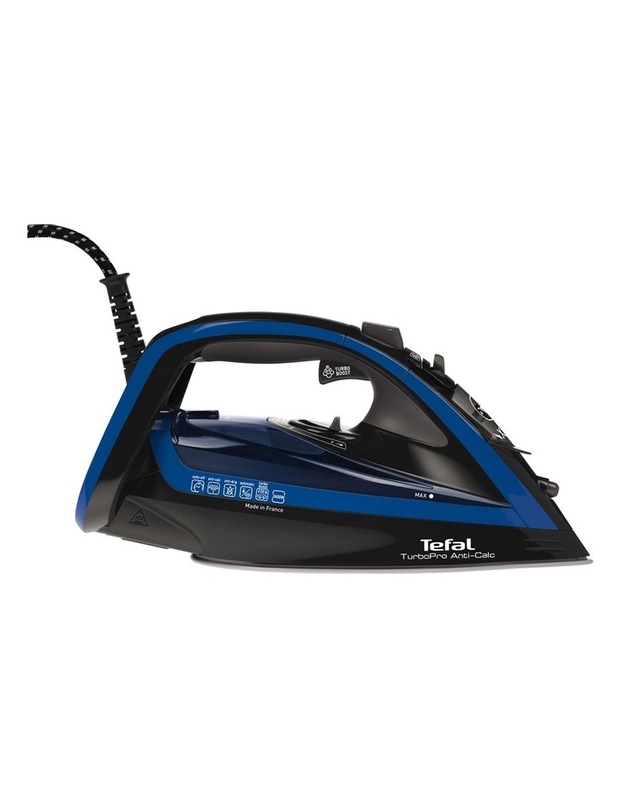 This high-efficiency steam iron delivers fast and flawless ironing results every day. FV5648.